The body is a source of instrumental value to others. It provides organs, tissues, gametic materials and cells that can sometimes have life-saving benefits to patients and benefits to physicians and researchers, in addition. For this reason, society has approved (with some debate) the acquisition of these materials in various ways. This may be through gifts and donations, such as of blood, marrow, organs and sperm and through the sale of hair, sperm and blood (Campbell 1992:36). However, what has become a major debate is how DNA can, and if it ought to be commoditised; and how and if individuals can keep their genetic information private, or whether it ought to be shared with all. The rise of genetic research and information has transformed how scientists study, diagnose and analyse disease. Molecular- level information would have been unthinkable 100 years ago. From the time that Watson and Crick discovered the structure of DNA in 1953, the race was on to discover the genetic code. This was achieved in 2003 and now the function of every part of the genome is the main concern of those wanting to advance genetic breakthroughs even further. This revolution in medicine - molecular genetics - has not only transformed the way that diseases are diagnosed, but also how they are treated. Biotechnological advances in human genome mapping, so-called predictability 'or susceptibility testing, heritage testing, biobanking, pharmacogenomics, reproductive technologies and novel diagnostic techniques have transformed access to genetic information. Along with this accessibility come complicated ethical questions of access to and storage of information, security thereof, privacy, consent and, the focus of this article, ownership. Genetic information broadly refers to all of the currently known genetic data for all living organisms. It can also refer to the genetic composition of one individual and their families. Many individuals express concern that a positive finding on a genetic screening test will result in discrimination and stigmatisation because they are out of the norm. Another concern raised is that the release of genetic information may result in an individual's loss, for example, of the inability to get insurance, or employment if genetic information crosses into the public domain (Orentlicher 1990: 1005). Nowadays, genetic information is used not only in the doctor's office, but also beyond. For example, genetic information in a variety of forms is found in courts of law as a way of proving or disproving paternity, determining immigration status, in criminal cases involving genetic materials, by the military for soldier identification purposes and by medical aids and other insurance companies. Genetic information is seen as different from other biological tissues in that it potentially involves more "broad-ranging features of an individuals' health status" and carries implications for relatives (Skene 2002: 49, Gillet and McKergow 2007: 2094). Within the ambit of health and wellness, genetic information is being used in reproductive and fertility health, disease diagnosis and treatment, epidemiological studies, bioinformatics and pharma-cogenomics. The complex questions about who ought to benefit and about how individuals, families and communities can be protected against harms are most pressing at this time. 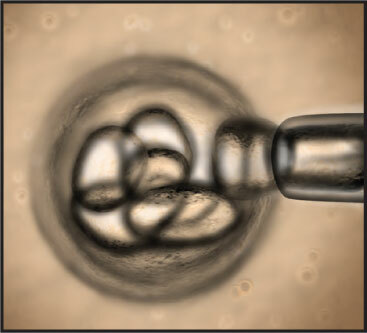 Despite that the gifting and sale of certain parts of the body has become a (debatably) acceptable practice in some parts of society, such as through organ donation, blood donation, sperm donation, ovum selling, selling of breast milk and the like, there has been an attitude of what is termed "exceptionalism" regarding genetic information. This is most likely due to the 'mystique' around genetics, since the concepts can be highly abstract and difficult to understand, but there also tends to be much suspicion about the nature and power of the contents of genetic information. The arguments for classifying genetic information as exceptional are generally grounded in the belief that genetic information is uniquely sensitive information owing to its "prophetic, predictive, shared and symbolic nature" (McGuire et al. 2008: 500). The most obvious example of this is that of the genetic relationship between monozygotic twins. Since they share such a high percentage of their genetic makeup, if the one were to discover a deleterious mutation, it would be highly likely that the other twin would have it as well. As familial relationships move further apart (genetically), this probability decreases, but the information may nevertheless be relevant to family members and therefore affect decisions that they make about their healthcare, and in some cases, reproductive choices. This is because an individual receives not only information relating directly to her, but she also receives the genetic history of her family or in some instances, her extended family (husband, mother-in-law, father-inlaw). Thus, the argument goes, genetic information should be considered as exceptional. It has been argued that genetic information thus should be offered to all family members as they have a 'right to know' (O'Neill 2001: 703-704). On the other hand, it may be argued that genetic information is neither "exceptional nor ethically different from other medical information" (Murray 1997: 63). Murray argues that there are medical issues such as elevated cholesterol or exposure to an infectious disease that perhaps ought to be shared with family members as well. There may also be an argument for sharing of information for public health benefit and so, the age old tension between individual rights and legitimate public health needs arises. Since genetics touches so intimately on an individual's life, as does any other health-related information, it is often thought of as falling into a property "paradigm" since individuals tend to think of themselves as proprietors of their genetic material (Andrews 1986: 29; de Witter and ten Have 1997: 51; Gillert and McKergow 2007: 2095; Campbell 1992: 40). c) humankind in general (as noted in the UNESCO declaration). I would add another category: a group of people who happen to share an identical set of specific nucleotides for a sequence in question. In order to discuss the issue of genetic ownership, a deeper debate arises: can a person justifiably make the claim to be owners of themselves? Despite the strong intuition that a person is the owner of themselves, there is little principled moral argumentation to prove that people are indeed in possession of rights of self-ownership. In spite of this, there are strong legal and legal-ethical arguments that uphold individual liberty, freedom, autonomy and dignity aimed to protect the individual from intrusions on or into her body (bodily integrity). The philosopher, Immanuel Kant argues that people ought to be treated as ends in themselves (not used). They are ends in themselves because they are rational beings that have inherent worth and dignity. Because of their intrinsic value, they are deserving of respect at all times. This respect is to be applied by a person towards his- or herself as well as towards others. In applying this respect, some of the principles of individual liberty are protected by this principle of ends. On the other hand, freedoms that constitute an indignity towards self and others, such as commoditisation (selling) of the body, are prohibited by this view. Kant's views against self-ownership are underpinned by the principle of respect for persons, a privilege of man by way of his humanity. Taylor (2004: 71) explains Kant's position writing, "In MM [Metaphysics of Morals], Kant asserts that someone can be his own master but cannot be the owner of himself (cannot dispose of himself as he pleases) - still less can he dispose of others as he please -since he is accountable to the humanity in his own person." Since, the principle of self-ownership allows actions such as self-mutilation and suicide and asserts that the individual is the final arbiter over herself; it is against the principle of treating oneself with dignity, according to Kant. Robert Nozick (1974), a libertarian who argues for self-ownership, borrows from Kant to argue that as humans with inherent value and dignity we ought to have the right to freedom and from John Locke to argue that we ought to have the right to private property. Where Kant and Nozick agree is that a person should never be treated merely as a means to an end. On the issue of how a person should treat themselves, Nozick believes that that is a matter of personal liberty and that the person should be able to make their decisions without outside interference - that is, they are self owners and free to choose how they treat themselves. Kant, in fact shares the belief in personal liberty. He sees voluntariness and freedom from interference as essential to autonomy. Where they disagree is on the matter of respecting oneself and what that respect means; that is, what dignity means. Kant believes that people have a duty to respect themselves as much as they do to respect others. If Kant, who argued for individual freedom, autonomy and choice as well as for respect for humanity, were present in today's world, how would he view ownership of genetic information and the exceptionalism debate? It is difficult to imagine how he would apply these moral principles to sharing, or not sharing information and owning or not owning it. If we were to create a maxim that said, "One should always offer to disclose one's genetic information to family members or relevant others" I would consider this right and appropriate, and I think Kant would agree as I would be demonstrating my duty to respect myself and for others. It shows Kant's concept of autonomy as the principle of morality. On the other hand, if we were to create a maxim that said, "One should always disclose one's genetic information." I would hesitate to act on this maxim. While the principle of respect for persons denies that a person can be a self owner, it also implies that we have autonomy, freedom and choice -individual freedoms are still upheld. Moreover, and in a different perspective, the concept of sharing or providing one's genetic information per se may not be the real issue at hand. Sometimes, benefits may have to be weighed against harms and perhaps the concept of dignity needs to be re-evaluated. 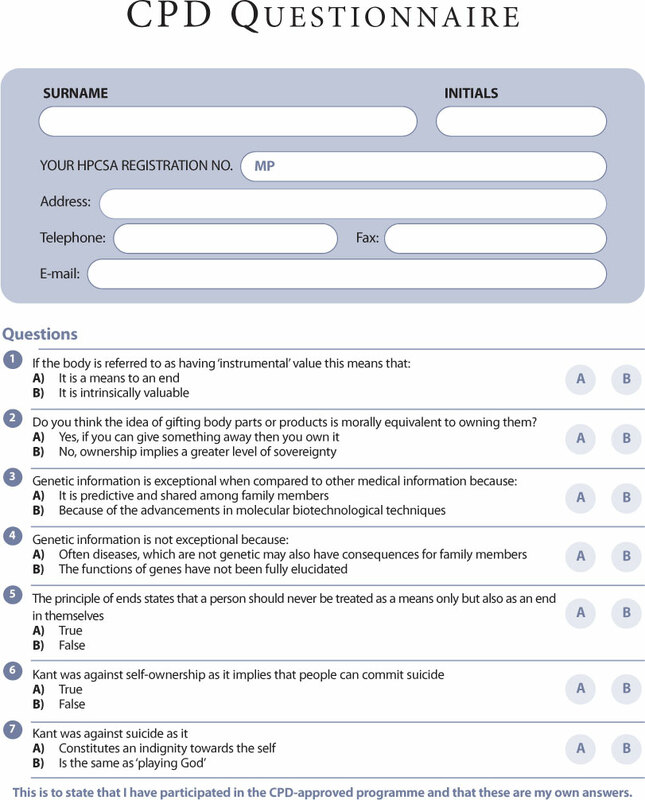 If, for example, gene patenting does not diminish a person's freedom, autonomy or rational will but does provide much-needed research for significant global health benefits, and if those health benefits can be distributed evenly among the rich and poor, then there are some powerful moral arguments in favour of the practice. However, since there is a disparate distribution of goods and harms globally and commercial ends are seldom in pursuit of equality, patenting may be wrong, but not for reasons of genetic self-ownership. It may well be, that the intense desire that most people have to control their genetic information is not because they feel they have a philosophical attachment to their information, but rather that they fear the negative outcomes they may experience if they lose control over that information. It may well be that in a world with less stigmatisation or fairer systems, people would be more willing to share and that may well be the right thing to do.